The Live Free campaign was developed in partnership with the YMCA, Nutrition for Learning, Food & Friends, Breakfast for Kids, and Halton Food for Thought. The funding campaign supports thousands of snack, breakfast and lunch programs within Ontario. The engagement involved stakeholder engagement, a rebranding, the development of a new identity and the creation of a compelling campaign. Sadly, for some students, the food served in food programs is their only meal for the day. 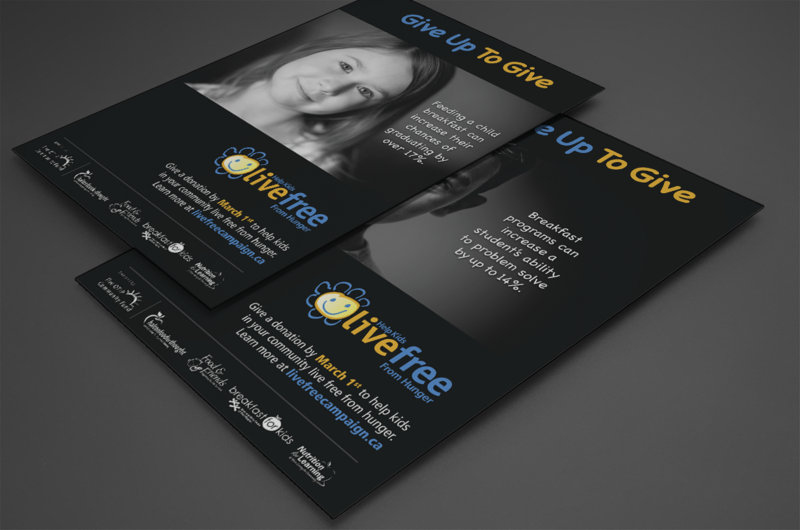 The Live Free campaign was executed in primary and post secondary schools and donations across all programs across Ontario increased.